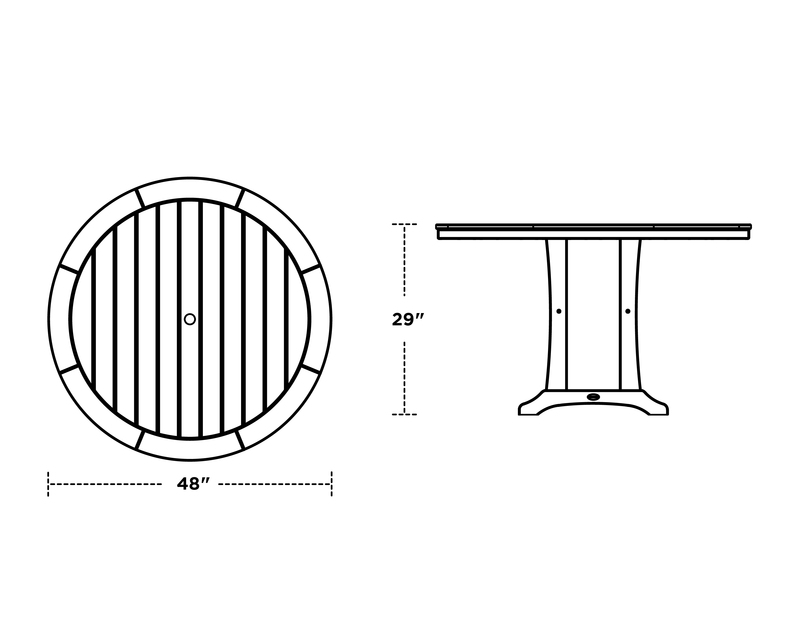 Create an intimate outdoor dining atmosphere with the Nautical Trestle 48" Round Dining Table. This table seats up to four and features a round table top with space for plenty of leg room underneath. Create an intimate outdoor dining atmosphere with the Nautical Trestle 48" Round Dining Table. This table seats up to four and features a round table top with space for plenty of leg room underneath. This classic all-weather table pairs well with a variety of POLYWOOD dining chairs to fit the look of your outdoor space.